We have smart watches, smart glasses, smart homes, smart buildings and a gazillion other smart devices. Now, even the humble piggy bank is getting smarter. Introducing, the Quirky Porkfolio Smart Piggy Bank. The Quirky Porkfolio Smart Piggy Bank is internet connected and through an app on your smart phone, it can tell you exactly how much cash it is holding in its belly. You can even set saving goals using the app. You also need the app to open the piggy bank. Any attempt to rob the Quirky Porkfolio Smart Piggy Bank will trigger the built-in accelerometer and an alert will be sent to the phone. With your investment safely protected, all you need to worry about is bringing home the bacon. The Quirky Porkfolio Smart Piggy Bank is a great way to encourage kids to save money. However, it is not cheap and buying one may require breaking into your current piggy bank. 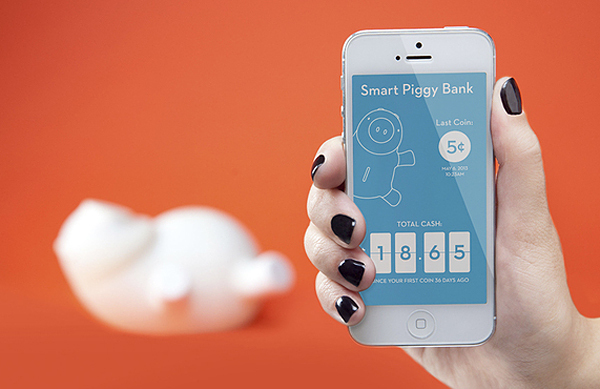 Porkfolio is the world’s smartest piggy bank. It wirelessly connects to an app on your mobile device so you can track your balance and set financial goals from afar.